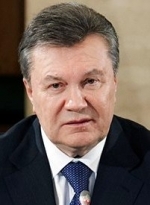 Interpol has removed former Ukrainian President Viktor Yanukovych from the wanted list, spokeswoman for the chief of the Prosecutor General's Office (PGO) Larysa Sarhan has told Ukrinform. "Yes, he is not on Interpol's wanted list since Interpol believes that it is political persecution and it has removed Yanukovych from the wanted list. He is not in Interpol's database," Sarhan said. Yanukovych said at a press conference in Moscow on Wednesday that he can visit any country in the world and that he is not in Interpol's database. At the same time, he declined to answer on what legal basis he stays in Russia. Earlier, Russian presidential spokesman Dmitry Peskov could not answer on what basis Yanukovych has stayed in Russia for a long time, given that migration legislation only provides for a 90-day term of visa-free stay. "This question is interesting. I need to clarify," he said, adding that he does not think that a respective clause of the law applies to Yanukovych. Kyiv's Obolonsky District Court on January 24 convicted Yanukovych of high treason and sentenced him to 13 years in prison, with the term of serving the sentence to be counted from the time of his detention. The court also ruled to recover from Yanukovych in favor of the state the procedural expenses for conducting forensic examinations in the amount of UAH 98,561 and to leave the imposed arrest on property unchanged. The verdict was read out for about eight hours. Ukrainian Prosecutor General Yuriy Lutsenko later stated that the PGO would not file an appeal against the verdict for Yanukovych so as to focus on other crimes committed by him.